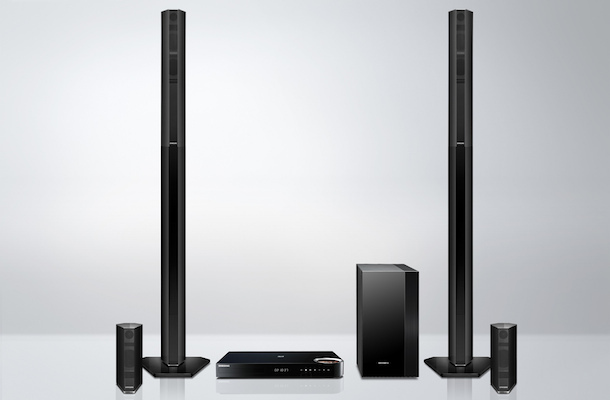 For 2103, LG Electronics announced the BH9430PW 9.1-channel speaker system with Blu-ray 3D player. 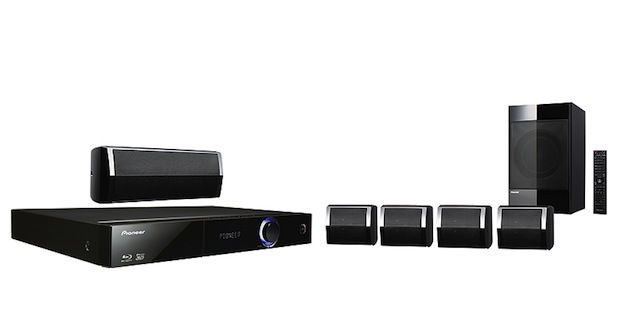 The home theater in a box package adds four additional channels to the typical 5.1 setup, delivering an enhanced audio performance. 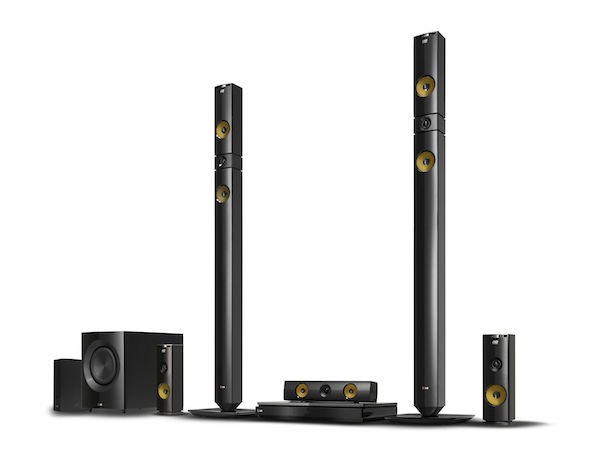 Four multi-directional tallboy speakers can fill the entire room with sound. 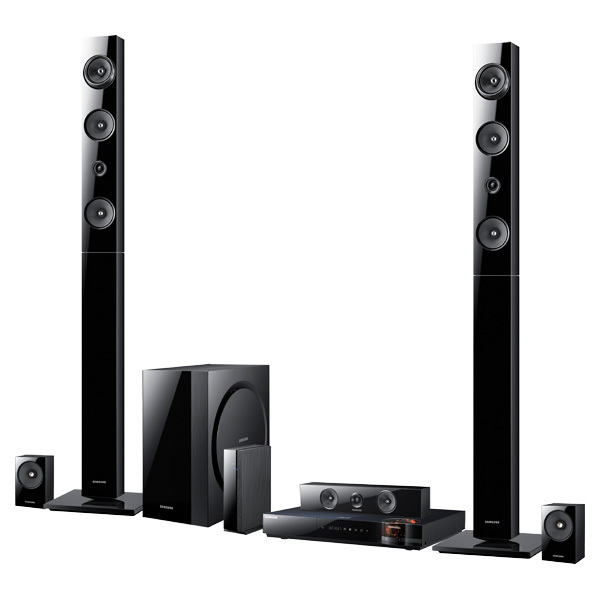 The system’s 3D Surround Processor analyzes content to distribute sound in multiple directions while maintaining the appropriate balance level. 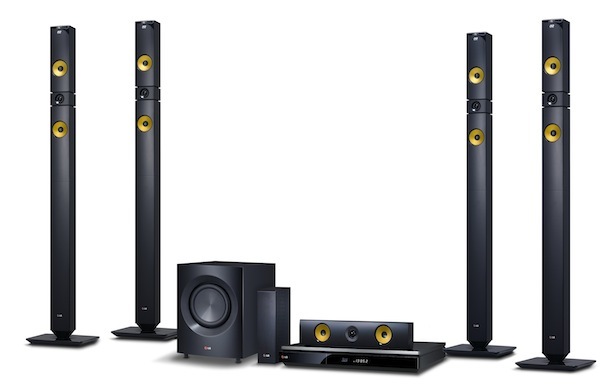 LG also opted to employ high-tensile Aramid fibers in the construction of the sound cones, which results in a wider range of sound, including defined, deep bass with near-zero sound distortion. Also serving as a smart hub, the BH9430PW is compatible with NFC technology for wireless content mirroring. In addition, it has other excellent Smart TV capabilities such as web browsing. 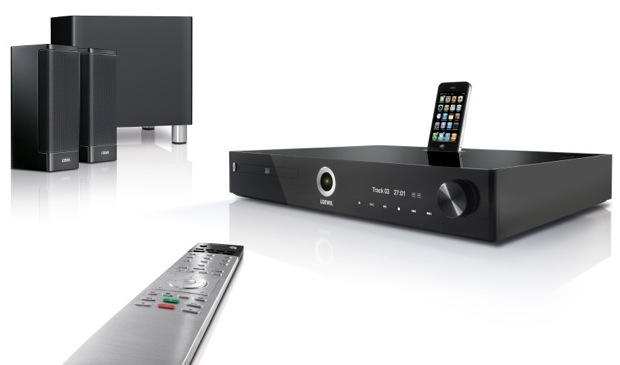 The BH9430PW also includes an iPod dock to charge devices and provide access to stored content. 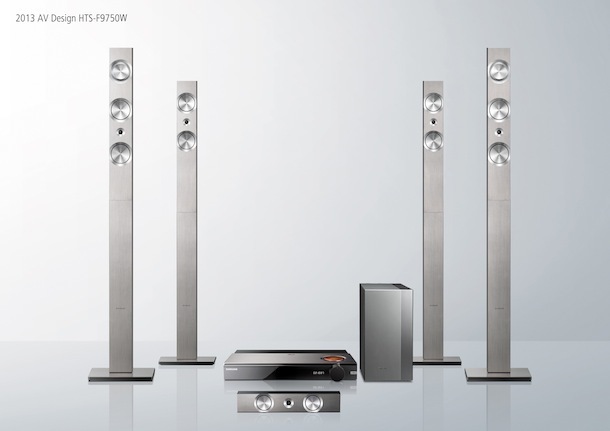 The BH9430PW also offers a new feature for late night viewing; the Private Sound Mode. This feature lets customers feed the system’s sound directly to their smartphone via Wi-Fi to ensure that the rest of the family stays fast asleep. No word on pricing or a release date. 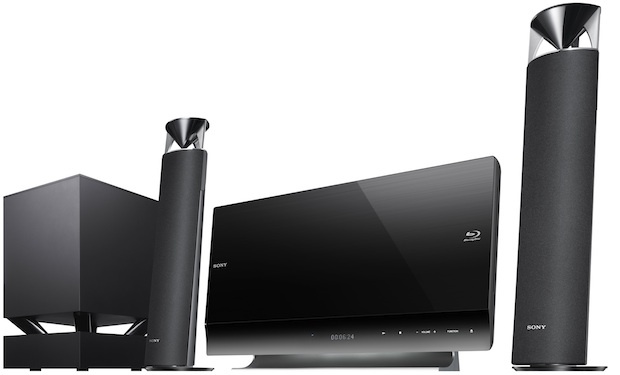 Additional Home Theaters Systems in the lineup include the 9.1-channel BH9230BW, 5.1-channel BH6830SW and BH6730S.